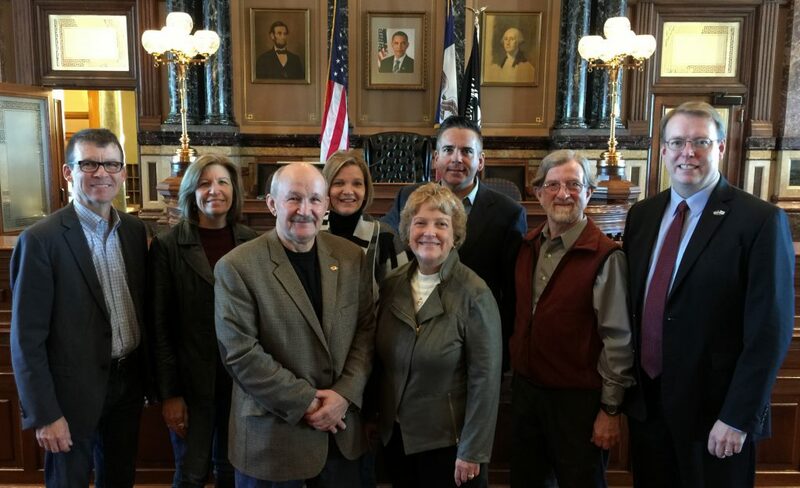 The new Iowa Senate Democratic leadership includes (from left) State Senators Joe Bolkcom of Iowa City (assistant leader), Rita Hart of Wheatland (assistant leader), Bill Dotzler of Waterloo (assistant leader), Liz Mathis of Robins (assistant leader), Amanda Ragan of Mason City (Senate Democratic Whip), Matt McCoy of Des Moines (assistant leader), Herman Quirmbach of Ames (assistant leader) and Rob Hogg of Cedar Rapids (Senate Democratic Leader). 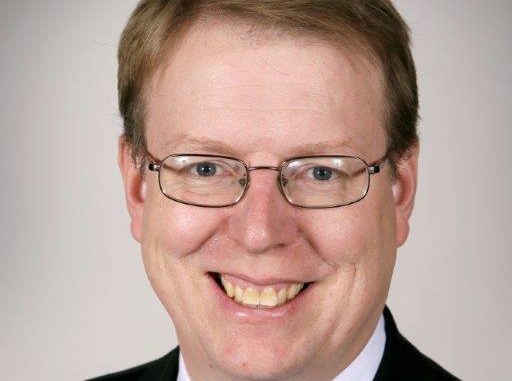 [Des Moines] At a Statehouse meeting Nov. 19, Democratic members of the Iowa Senate unanimously elected State Senator Rob Hogg of Cedar Rapids to serve as the Iowa Senate’s Democratic Leader. “I’m honored my Senate Democratic colleagues selected me as their leader in this difficult time. During the 2017 legislative session, we will stand up for Iowans who need state government to work for all of us. One reason Iowa is such a great state is our dedicated public employees—teachers, corrections officers, state troopers, DOT workers, DHS workers, DNR workers, city and county staff, and many others—who work hard every day to help Iowans. “We will stand up for working people who seek higher wages and better benefits, for families who need strong schools and affordable college and job training, for small business owners who need skilled workers and a level playing field, for seniors who need help to stay in their own homes, for veterans who need health care, for city residents and farmers looking for clean water and clean energy solutions, and for vulnerable Iowans who need a safety net to maintain their health and dignity. Senator Hogg is in his third term in the Iowa Senate, after serving two terms in the Iowa House. He currently chairs the Government Oversight Committee, is vice-chair of the Judiciary Committee, and serves on the Appropriations, Education and Ways & Means committees. Following the devastating floods and tornadoes of 2008, Senator Hogg chaired a special Rebuild Iowa Committee focused on helping communities recover. A fourth generation Iowan, Rob Hogg is a lawyer in private practice in Cedar Rapids. He and his wife, Kate, have three children and are members of Christ Episcopal Church. Senate Democrats also elected Amanda Ragan of Mason City as Senate Democratic Whip, and six assistant leaders: Joe Bolkcom of Iowa City, Bill Dotzler of Waterloo, Rita Hart of Wheatland, Liz Mathis of Robins, Matt McCoy of Des Moines and Herman Quirmbach of Ames. 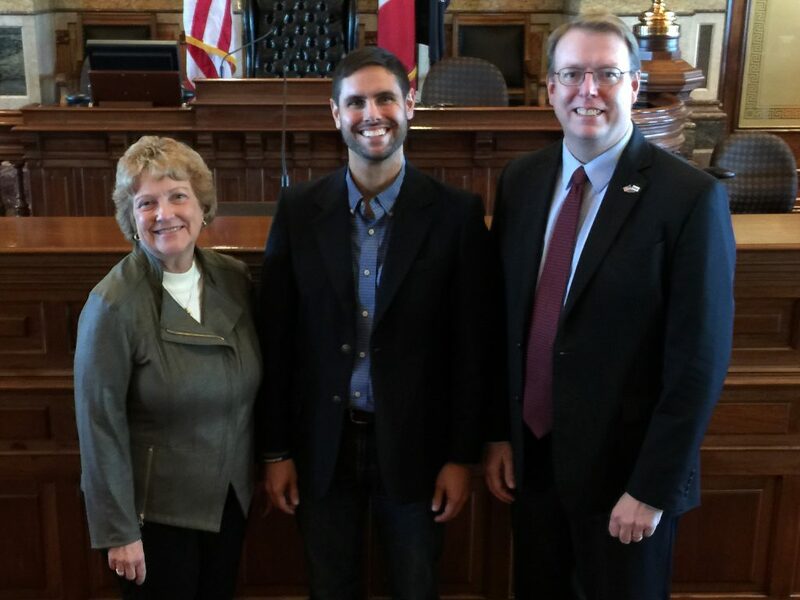 In addition, the meeting was the first for newly elected State Senator Nate Boulton of Des Moines. The 2017 session of the 87th Iowa General Assembly will convene on Monday, January 9, 2017.